The White Disposable Pen Torches are a useful lightweight tool in first aid kits, sports bags, at the office, at home or when travelling. They are great for illuminating small areas with their bright beam, and are especially popular with doctors, nurses and police who often test pupil light reflexes. The torches are fit with factory sealed batteries and give many weeks of illumination, even when used daily. A pen torch is an ideal item to include in any comprehensive first aid kit or to carry around on its own. They are very lightweight, easy to carry around on your person and present a multitude of uses. Doctors and nurses often use pen lights to carry out medical examinations around the eyes, ears, nose and throat, and police are often found using them to check pupil response to gauge whether a suspect is under the influence of drugs and alcohol. Pen torches can also be used generally for checking household plumbing and electrical sources. 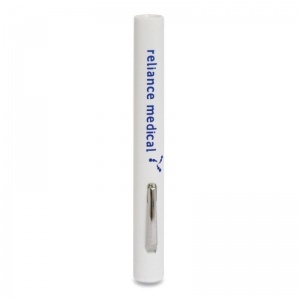 Available to bulk buy in packs of six disposable pen torches per order, they are very useful to stock in sports or workplace first aid kits. They come fitted with batteries that are factory sealed, and are designed to throw away once the charge runs out. 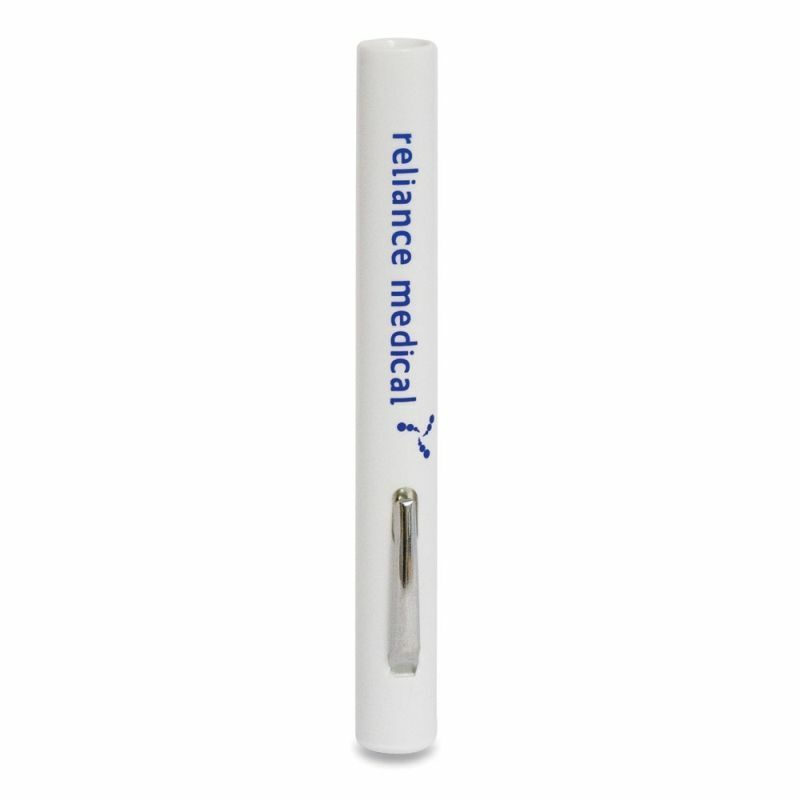 The White Disposable Pen Torches are usually dispatched via First Class Royal Mail and delivery should be within 1 to 3 working days.